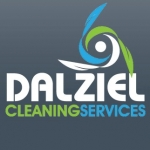 Working closely with clients ranging from large corporations to independent office managers, we are capable of arranging an array of services that are required to effectively create a clean working environment and maintain work places throughout Scotland. DCS is quickly becoming a one stop commercial cleaning service for all your buildings' needs! Our philosophy from the start has been to provide the best possible eco-friendly service and only implement innovative products. We are living in an era that has seen the explosive growth in the manufacture and use of synthetic ingredients in cleaning products. Although such ingredients are effective and relatively inexpensive, their use may be to the detriment of our health and environment. When factoring in the costs of their toxicity, it became quite clear that we needed to free ourselves from their use and the damage they cause. We produce a range of scientifically advanced products that genuinely help people save time and effort, and help future generations keep our planet as clean as possible. It's our job to make sure your premises reflect your business and having a professional cleaning programme will help. DCS install the highest industry standards by dressing our team in professional looking uniforms, carrying out reference checks, highly training each person allowing them to provide the level of service you deserve. We clean to the highest standards so your staff are working in a superior environment making them more productive and able to focus solely on your business.